*Sunrise Lodge, a Hilton Grand Vacations Club* is a stunning resort in a spectacular mountain location! Park City, Utah, is a fabulous setting and offers exciting activities in any season of the year. 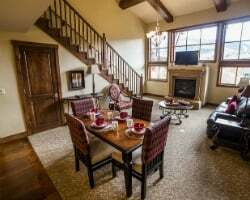 This ski-in/ski-out lodge is at the base of the Sunrise ski lift at Canyons Resort, which puts you in the midst of Park City. Enjoy unique shopping, top-shelf dining and more. Many area attractions are close-by such as historical Park Avenue and Utah Olympic Park. For more information about this fantastic resort, visit www.hiltongrandvacations.com. 3,500 annual points! Points can be used anywhere in the HGVC network! Buyer may receive a title fee credit, inquire for details! 3,000 even year points! Points can be used anywhere in the HGVC network! Buyer may receive a title fee credit, inquire for details! 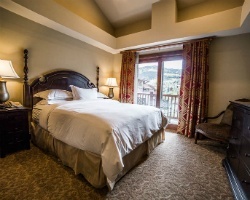 Experience the very best of Park City with 4,200 annual HGVC points! Buyer may receive a title fee credit, inquire for details! 5,800 annual points! Points can be used anywhere n the HGVC network! Inquire today for more details! 8,400 annual points! Points can be used anywhere in the HGVC network! Buyer may receive a title fee credit, inquire for details! Motivated Seller! Travel anywhere in the HGVC network! Buyer May Receive A Title Fee Credit, Inquire today! 2019 Maintenance Fees paid!! 4,100 annual points! Points can be used anywhere in the HGVC network! Buyer may receive a title fee credit, inquire for details! Lovely resort in a prime location! 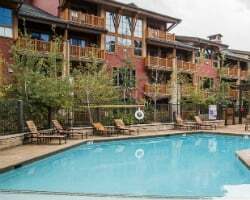 Stay in Park City or use 5,800 points each year! Buyer may receive a title fee credit, inquire for details! 4,200 annual points! Points can be used anywhere in the HGVC network! Buyer may receive a title fee credit, inquire for details! Bring Best Offers! Sundance Festival Week Deeded. Platinum membership with 6,200 annual points! Buyer May Receive A Title Fee Credit! 4,800 annual points! Points can be used anywhere in the HGVC network! Buyer may receive a title fee credit, inquire for details! Silver membership with 8200 annual points to enjoy Park City or any other HGVC location! Also includes 8,500 bonus points with sale! 5,100 even year points! Points can be used anywhere in the HGVC network! Buyer may receive a title fee credit, inquire for details!! Highly Motivated Seller. Plus an additional 1080 points! Points can be used anywhere in the HGVC network! Buyer may receive a title fee credit! Price Negotiable! 4,100 odd year points! Points can be used anywhere in the HGVC network! Buyer may receive a title fee credit, inquire for details!! 6,150 even year points! Points can be used anywhere in the HGVC network! Buyer may receive a title fee credit, inquire for details! Maintenance fees are paid through 2020! Owner is eager to sell! Buyer may receive a title fee credit, inquire for details! 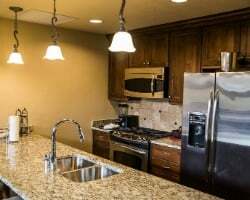 5,800 points every other year to enjoy this Utah retreat or anywhere in the HGVC network! Buyer may receive a title fee credit, inquire for details! 9,600 annual points! Points can be used anywhere in the HGVC network! Buyer may receive a title fee credit, inquire for details! Sale includes 7000 points every even year! Use points to stay anywhere in the HGVC network. Buyer may receive a title fee credit, inquire for details! Sale includes 5,800 annual HGVC points with 5,039 points available for 2019 use! Make an offer today! Motivated seller! Price is negotiable! Silver membership with 4,100 biennial points! Buyer May Receive A Title Fee Credit, Inquire For Details!! 4,100 points ever year! Points can be used anywhere in the HGVC network! Buyer may receive a title fee credit, inquire for details!